Purchase of new screening machine. 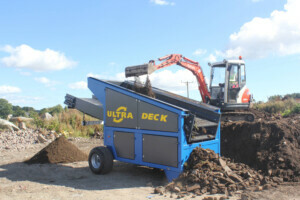 We have just invested in a brand new Deck screen. 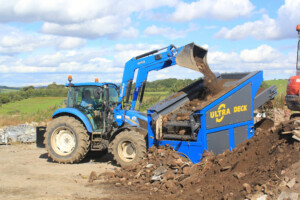 This machine will be used to recycle most of the waste products we produce from our job sites. The machine turns mixed soil and stone excavations in to usable topsoil and clean stone. The soil produced can then be mixed with other materials such as rotted manure, compost and sand enabling us to produce perfect topsoil for a variety of applications such as planting, turfing etc. The clean stone can then be crushed and used as substrate material beneath patios and driveways. 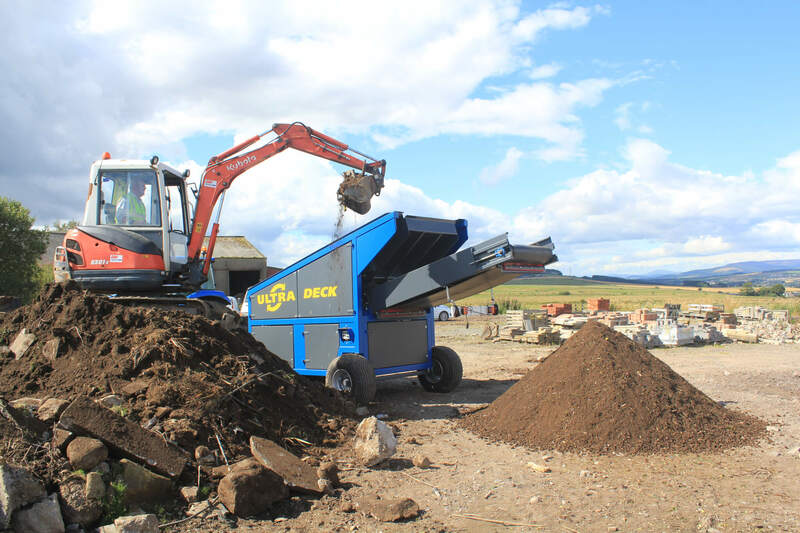 The machine will be based at our facility in Dyce, Aberdeen where all the material we previously disposed of at a third party recycling facility will now be recycled by us and re used. Processing the materials ourselves will now give us full control of the quality of the materials which we use in our landscaping jobs. 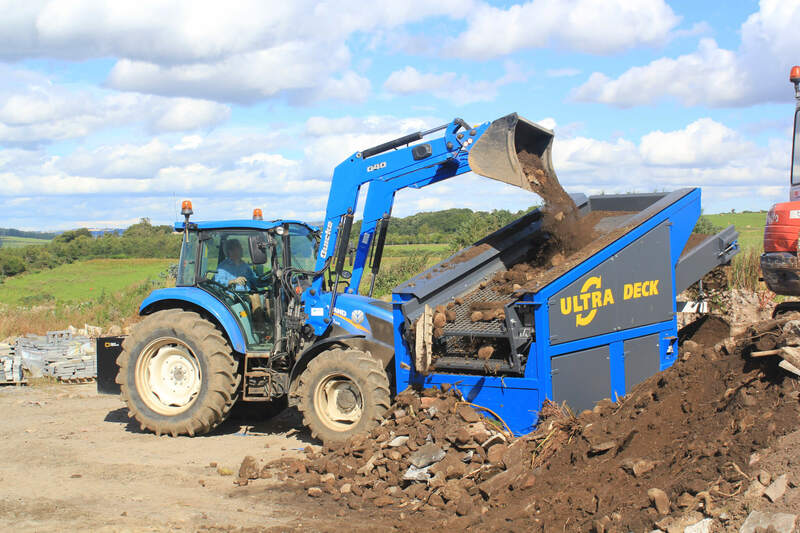 The topsoil produced will be special mixed blend of materials which will ensure we have the finest quality of material for our customers. Aberdeen International Airport contract award. New Ferrari mower for the new season. Merry Christmas!! Our holiday opening hours.